"The formidable LaChanze delivers the songs thrillingly"
LaChanze is here and in glorious voice"
LaChanze, Saycon Sengbloh & more to star in The Secret Life of Bees. The Broadway singer returns to the music of her childhood and discovers some new angles. LaChanze and other Broadway stars shine on the red carpet! 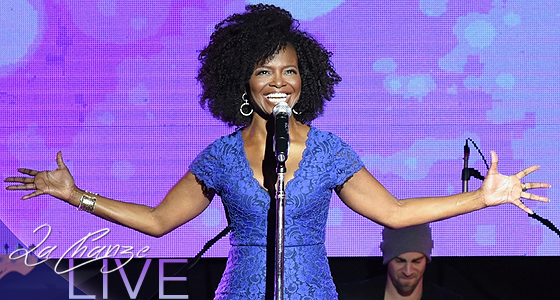 LaChanze has a way of uniquely captivating an audience and taking over a stage! The Emmy and Tony Award winner is now available for private bookings and special events. Contact Adam Chernick to book LaChanze for your next event! Copyright © 2019. Designed by Robert Max.